Update: In its Overview of its Draft Plan on Climate Change: Achieving Our Commitments Together (issued October 24, 2002), the Canadian federal government has asked that all Canadians reduce their personal contribution to Greenhouse Gas emissions (GHGs) by 20% by 2012 - from 5 tonnes to 4 tonnes annually for the average Canadian. GHGs exist naturally, and we definitely need some in our environment to keep the planet a habitable place. The real issue is how much human activity (anthropogenic) adds to the natural inventory, upsetting the historical balance, and as a result changing our climate. It is easy to feel overwhelmed in the face of such an enormous problem, to feel powerless against something so big. However, GHGs are something you can beat, if you choose to do so. In some corners, the debate continues. However, citizens of Canada and around the world do recognize that our weather is changing. Storm events are becoming more frequent and severe. Even the insurance companies have noted increased losses, and suggest that climate change is a contributing factor. We seem to set new record high temperatures annually now. Any gas in the atmosphere that helps to hold in heat energy around the planet rather than letting it radiate into space is a Greenhouse Gas. The most significant Greenhouse Gases are listed below. This is the gas we produce by breathing. We inhale oxygen, and our bodies combine this with carbon from our metabolic processes to produce carbon dioxide. However, the most significant quantities of carbon dioxide are produced by burning materials that contain carbon, notably hydrocarbons like coal, oil, gasoline, diesel fuel, heating oil, natural gas and propane. Carbon dioxide is also the gas that is used to make soft drinks fizzy and is used to make dry ice. Methane is produced by the digestive tracts of many living organisms, including humans and most domesticated animals. It is also produced by decomposing materials, and is also the primary component of swamp gas and landfill gas. Interestingly, a molecule of methane is a more potent GHG than a molecule of carbon dioxide. Methane can be burned to produce heat energy, and other gases, notably carbon dioxide. However, the carbon dioxide produced is less potent as a GHG than the methane consumed, so burning methane actually reduces GHG effects. Methane is 21 times as potent a greenhouse gas as carbon dioxide (long term). In the short term, it is even more potent - up to 58 times more potent than carbon dioxide in the first year after its release into the atmosphere. Laughing gas. Also used as a high-performance fuel additive in car-racing. Nitrous Oxide is 310 times as potent a greenhouse gas as carbon dioxide. Sulphur Hexafluoride is 23,900 times as potent a greenhouse gas as carbon dioxide. Molecules consisting of hydrogen, fluorine and carbon only. HFCs range from 140 to 11,700 times as potent as carbon dioxide, depending on the specific chemical. Molecules consisting of fluorine and carbon only. PFCs range from 6,500 to 9,200 times as potent as carbon dioxide, depending on the specific chemical. What can you do to reduce your Greenhouse Gas emissions (GHGs)? How can you do it while minimizing the negative impact to your wallet, your standard of living and benefiting the overall Canadian economy? We have some suggestions. The good news is, for most of us, it is not that hard and many of the suggestions we provide below will actually save you money. First and foremost, reduce your consumption of fossil fuels. Burning of fossil fuels is the key GHG contributor across all sectors in Canada. For most Canadians, their consumption of fossil fuels falls into the following areas: transportation, home heating, domestic hot water, electricity, purchases and other activities. Subsequent to our creation of this page, the Canadian government has begun work on their "One Tonne Challenge" program (good to see them get into the game). As a result, we have updated this page to provide some concrete examples of things you can do to reduce GHG (specifically carbon dioxide) emissions by one tonne (1,000 kilograms), and your expected resulting cash savings. Most Canadians use cars, minivans and light trucks powered by gasoline or diesel fuel as their primary means of transportation. Carbon dioxide produced by these internal combustion engines is a key contributor to GHGs. Any reduction in the consumption of gasoline and diesel fuel will lead directly to a reduction in GHGs. Here are some things you can do to make a difference to reduce your consumption of these fossil fuels. Combine errands to reduce distance traveled. Car pool to reduce the number of vehicles being used. Walk, bicycle, roller-blade or use other means of transportation instead of your fossil-fueler when practical. Take the most direct route possible when driving. The energy used to overcome aerodynamic drag goes up with the cube of your speed. It takes 20% more fuel to travel the same distance at 110 km/h than at 90 km/h in a typical motor vehicle. Travelling at lower speeds means less GHG emissions, and lower fuel costs. Typically, smaller, lighter vehicles consume less fuel to travel the same distance. "Hybrid" vehicles, like the Toyota Prius, Honda Insight or Honda Civic Hybrid use electric assist technology to improve the gas economy significantly. These vehicles can actually get better fuel efficiency in typical urban driving than on the highway. Reduced fuel consumption means less GHGs and less money spent on fuel. For a typical Canadian, switching to a vehicle that consumes 40% less fuel would fulfill their target of a 20% reduction in GHG production in a single act. Tires with insufficient tire pressure consume significantly more fuel than tires that are properly inflated. Each under-inflated tire increases the fuel cost penalty and GHGs produced. Improperly inflated tires increase tire wear, leading to premature replacement, and the requirement to replace tires earlier, leading to increased operating costs for you and the manufacture of additional tires. Manufacture of additional tires leads to increased GHG emissions. Dirty air filters or gasoline filters can affect engine performance and increase fuel consumption and GHGs. Fouled spark plugs or faulty ignition components mean that some fuel will be consumed without being burned, meaning more fuel will be consumed to produce the same power, increasing GHGs. Ethanol blend gasoline contains up to 10% ethanol by volume (E10). Ethanol is produced from plant matter, and is renewable. Ethanol blend fuel can be used in most gasoline-powered cars, vans and light trucks without any modifications. You may need to replace the fuel filter after a few tanks of E10 due to its fuel system cleaning properties. E85 is a fuel that contains 85% ethanol, but it is all but non-existent in Canada, and requires specially-modified engines to use it. Biodiesel is a fuel that can be used in diesel engines, but is produced from plant matter (notably vegetable oils), and to a lesser extent, animal fats. In parts of the U.S., B20 is commercially available - a blend of 80% conventional diesel fuel and 20% biodiesel. It is rare in Canada. There are vehicles available that do not use gasoline or diesel. Vehicles that burn propane or compressed natural gas are generally considered to be environmentally cleaner than vehicles burning gasoline or diesel fuel. However, they produce similar amounts of GHGs as those powered by other fossil fuels. Battery electric vehicles produce no emissions at their point of use. That includes no GHG emissions. Automakers now hold out that fuel cell vehicles are the future for clean vehicles. What they do not make clear is that these are electric vehicles, where batteries are replaced (in whole or in part) by a fuel cell that produces electricity. Hydrogen fuel cells, the current favourite of researchers, produces drinkable water, electricity and heat as its outputs. Generation of GHGs by fuel cells will depend on how the hydrogen is produced. For example, if it were produced by using windpower to electrolyse water, GHG emissions will be negligible. However, if it is produced from fossil hydrocarbons as most is today, the GHG emissions will be significant. 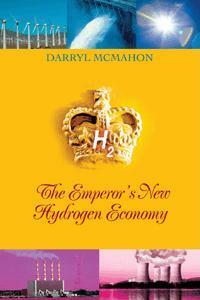 In fact, it is conceivable that the hydrogen fuel cell could actually increase GHGs unless hydrogen is produced from non-fossil hydrocarbon sources. According to a Green Power presentation at the IEEE conference in Monterey, Mexico in October 2003, each liter of gasoline used in an internal combustion engine produces 3 kg of CO2 when energy use including refining and transport are included. Therefore, you can save 1 tonne of carbon dioxide by using 333 fewer liters of gasoline. If you drive 20,000 km in a year, driving a vehicle that gets 2 km/liter more than your present vehicle. Put another way, if you drive a vehicle that gets 10 km/liter, driving 60 km less per week would also save a tonne of carbon dioxide. Or, purchasing ethanol-blend (E10) gasoline (assuming 2,000 liters per year) instead of regular gasoline could save 600 kg of carbon dioxide. Saving one tonne of carbon dioxide emissions by using 333 fewer liters of gasoline (assuming a price of $0.70 per liter) will save you more than $230. Most of us heat our homes, at least in part, using a carbon-based fuel, either directly (by burning natural gas, oil, propane, coal, wood or other plant fibres) or indirectly (using electricity produced from burning a carbon fuel in an electric furnace, small resistance or radiant heaters, or to run a heat pump). Burning these materials produces carbon dioxide (and some carbon monoxide), a Greenhouse Gas. In general, reducing the amount of energy you use to heat your home will save you money, and reduce your GHG emissions. When shopping for a new home, look for the R-2000 symbol. Canada pioneered the R-2000 concept for energy efficient homes, and a multitude of techniques and technologies to implement it. Yet, the great majority of the homes being built today in Canada still do not measure up to R-2000 standards. Drafts are the major form of heat loss from our homes. Keep exterior doors closed during heating season. Use weather stripping to create tighter seals between doors and doorframes. Caulk and weather seal around windows and other openings, such as dryer vents, wiring service entrances, telephone wiring, etc. Put flapper type dampers on dryer vents. Keep your heat in your home longer. When it is cold outside, heat will escape from your home - that's entropy, and there is no way around it. However, you can slow it down. That is what insulation does for you. It makes it harder for heat to escape, thus keeping you warmer longer, and reducing your heating requirements (and your heating bill and GHG production). It is like long underwear for your house. Improving your insulation will almost always pay for itself in reduced heating costs (and possibly cooling costs) over a few years. Insulation is not limited to conventional commercial products. In addition to fiberglass batts in wall cavities and attic joists and polystyrene boards applied against concrete walls, consider some other options. Radiant heat reflective materials (e.g. aluminized mylar film or bubble wrap) can act as a vapour barrier as well as reflecting heat energy, providing an insulating effect. Quilted materials hung on the inside of exterior walls are not just decorative, they also provide a small insulating effect. Quilted curtains can reduce heat lost through windows. There are also window blinds available commercially that have a significant R-value (insulating effect), and curtains with reflective materials on one side or between the lining and main fabric. Polystyrene board can be cut to size and fitted against windows to increase insulation, especially at night when there is no light or solar gain to be had from the windows anyway. Better windows can improve insulation value. Thermopane is better than single pane glass. Triple-pane systems are better than double-pane units. Sealed units are better than simple sliding panes of glass. Low-E units with inert gases in the sealed unit are better than those with regular air. Vacuum units should be better still. Windows clad in vinyl or wood are better than those clad in metal (metal will conduct your heat to the outside). Storm windows provide additional insulation. Transparent plastic fitted over windows provides additional insulation. Bigger windows should face the sun. Smaller windows should be used in walls that never see the sun. During heating season, lower your thermostat setting to a level where you are comfortable wearing a sweater and warm pants, probably around 19 or 20 degrees C. This will reduce the amount of energy you use for heating. Programmable thermostats are commonly available now. These allow you to set the thermostat to change the temperature in the house according to a schedule. For example, if most people sleep from midnight to 6 a.m., the thermostat can be set to make the house cooler through these hours. Similarly, if everyone is out of the house for several hours during the day (at work, school, etc), then the house can be allowed to be cooler during this period as well. The more time your house can be set to be at a lower temperature, the less energy it will require for heating. Typically, program the thermostat to return to the desired occupancy temperature about 30 minutes before you need it, to allow time for the warming to occur. If you have an electric clothes dryer, vent it indoors during the heating season. Why not get the maximum benefit from the heat you are buying? (Do not do this if your clothes dryer uses natural gas or propane due to the carbon monoxide hazard.) We have found that since venting our clothes dryer indoors (we are not permitted to have an outdoor clothes line due to municipal zoning rules) during the heating system, we no longer need to run a humidifier, which saves even more energy. If you take a shower in a bathtub, put the stopper in the drain. Keep that hot water in the tub until it cools to room temperature; then let it drain away. At this point, you have extracted the heat energy from it that you easily can. (This will probably lead to soap film rings in your tub). If you take a hot bath, let the water sit after you are finished until it cools to room temperature. If you have to replace a toilet, don't just get a low-flow unit, get one with an insulated tank as well. It takes heat from your home to warm up the water in your toilet tank (typically from about 12 degrees C to about 20), and for what? You're just going to flush that energy away - literally. If you can, control bathroom exhaust fans with a separate switch. Only turn on the bathroom exhaust fan when you need to remove humidity. Most visits to bathrooms do not require exhausting humidity. In cold weather conditions, even baths and showers may not require exhausting the humidity from the building, especially if the bathroom door is left open a bit to allow the humidity to escape into other parts of the house. If you heat water for cooking (e.g. pasta or vegetables), don't just pour it down the drain. Pour it into a separate container instead, and let it sit there until it cools to room temperature. Then, having taken the heat benefit from it, pour it down the drain. A large juice can with one end cut out, rinsed and any label peeled off, works quite well. Avoid using the range hood exhaust during heating season as much as possible. Keep that heat in the house. You can probably benefit from the humidity produced as well. If you use an automatic dishwasher, consider plumbing in a holding tank for the outgoing water. It has been heated to improve washing performance and sterilize the dishes. The tank should be large enough to hold the amount of water used in a normal cycle for the dishwasher, but not much more. The installation should be plumbed with a bypass so that the holding tank is not putting heat into your home during the cooling season. If your home is sufficiently air-tight that you require a powered air exchanger, get one that passes the outgoing (heated) air against the incoming (cold) air, so that the incoming air is pre-heated to some extent as it comes into your house. Sometimes referred to as a Heat Recovery Ventilator (HRV). A solarium addition may also serve as a passive heating source, but is likely to be expensive. If your home is in an area that gets significant amounts of direct sun in the winter, you may wish to consider an active solar heating application. So far, most active solar heating applications are for heating swimming pools, to extend the useful pool season. However, solar heating systems can also be used to help heat your home from a zero-GHG source. Solar heating systems can range from reasonably-priced (for the frugal do-it-yourselfer building a modest system) to quite expensive (for a professionally-designed and installed, automated, high-output system). Active solar systems are not for everyone, but they are hard to beat from a GHG emissions reduction point of view in locations where winter sunlight is plentiful. A Canadian federal government program, EGH is intended to help homeowners find where they can improve household energy efficiency and reduce their GHG emissions, and provides grants to help the homeowner cover the costs of the improvements (after the fact). It's your tax dollars, so why not see them put to good use and your benefit? In addition, your house will receive an EnerGuide rating, and a high rating could be a marketing advantage when you come to sell it. For each cubic meter of natural gas burned, 1.85 kg of carbon dioxide is produced. If a typical Canadian home can use about 3,500 cubic meters of natural gas annually for space heating, that leads to the production of 6.475 tonnes of carbon dioxide being released into the atmosphere. A 15% reduction in this figure would lead to a reduction in greenhouse gas emissions of 1 tonne. If you are paying $0.25 per cubic meter, and reduce your consumption by 525 cubic meters (15% of 3,500 cubic meters), that puts more than $130 back in your pocket. If you pay a delivery charge, surcharge and GST based on your consumption, your savings will be even higher, possibly in the range of $235 in total. Most Canadians have a central water heater or hot water tank in their homes. Most of these use natural gas, heating oil, propane or electricity to heat the water. Outside the heating season, this is often the major heating energy consumer in our homes. Heating water with a carbon-based fuel, directly or indirectly (a significant portion of electrical generation in Canada) leads directly to GHG emissions. Switch to cold-water washing for your laundry. It works just fine, even for whites. Install flow reducers or stoppers on taps. These are inexpensive and easy to install. They will reduce the amount of water you use, including hot water. The aerator function used in most of these units means that most people do not even perceive a difference in the water flow. Some of these units provide a water shut-off function, so you can turn the water flow off temporarily (e.g. while lathering or shampooing) without affecting the water temperature when you turn the water back on. These have been around for years, are proven effective, and yet it is surprising that they are not only not a standard feature for new home construction, but are still not even installed on the majority of Canadian residential taps. The lower the temperature setting for your water heater, the less energy you spend keeping the water in the tank hot. The larger your hot water heater, the more effective this technique will be. Most hot water heaters could benefit from additional insulation. After-market insulating blankets are widely available in hardware stores, typically for CDN$20 to $30, depending on the size of hot water heater to be covered and the type of insulation being provided. That's probably less than your monthly hot water bill. Aluminized bubble wrap and thin fiberglass batts inside plastic envelopes are two typical types. Installation time is typically between one and two hours. These blankets help the hot water tank to retain heat better, reducing the amount of energy required. Besides, who wants their water heater to heat the house during the summer? Hot water is usually delivered from the heating tank to the point of use via copper pipes. Copper is a very effective conductor of heat, which means it is busy cooling your hot water all the way from the tank to where you want to use it. However, if you insulate your hot water pipes, then it is much harder for those copper pipes to transfer the heat away. Typical water pipe insulation consists of foam or heat reflective materials that wrap around the pipes, or both. It is possible to use solar energy to pre-heat domestic hot water. Heating systems vary from simple batch heaters (essentially a metal tank painted black sitting under glass in an insulated box) to more complex systems using liquids running through panels or pipes exposed to the sun, pumps, heat exchangers and more. In all cases, some plumbing work is required, and the simpler systems are more likely to be cost-effective than the more complex systems. Generally, not recommended as a first GHG-reduction project for most consumers, unless you are an enthusiastic do-it-yourselfer and very comfortable with residential plumbing, as labour is often a significant cost in such projects. If you have a swimming pool, the economics of heating the pool with a solar blanket, or a seasonal active solar water heating system are likely to be more attractive than a high-end, year-round solar domestic hot water heating system. For most households, we don't spend enough energy on heating domestic water to be able to save a tonne of carbon dioxide emissions. However, (assuming natural gas water heating) if you could reduce your water heating energy use by 10 cubic meters a month, that would result in annual savings of over $50 and over 220 kgs of carbon dioxide emissions (over 1/5 of a tonne). Quebec does not use fossil fuels to generate electricity. B.C. and Manitoba use relatively little fossil fuel in their electrical generation. In other provinces, electrical generation relies on fossil fuels as the primary fuel to a significant extent. So, for most Canadians, reducing the amount of electricity you use will reduce your GHG contribution. One exception is when electrically-powered devices are used to replace fossil-fuel-powered devices (e.g. using an electric lawnmower instead of a gasoline-powered lawnmower). Reducing your electrical consumption will also reduce your electrical bill, putting a few dollars back in your pocket. Reducing your electrical demand at peak times (e.g. summer afternoons when air conditioning loads are highest and dinner-time most of the rest of the year) will permit your electrical utility to reduce its operating costs by reducing the amount of the most expensive (peak demand period) power they have to buy to sell to you and their other customers. The biggest area for electrical savings for most Canadians is still the off-switch. Turn off lights, appliances and equipment when they are not required. Many devices consume power even when they are "off". These are known as "phantom loads". For example, most televisions consume power to support their "instant-on" features. The only way to stop these devices from consuming power completely is to isolate them completely from the wall socket, either by unplugging them or using a discrete isolation switch, as may be found on power-bars, surge-protectors or purpose built switches. Constant-operation battery chargers (also known as "wall-warts") are another type of phantom load. One novel solution to this electrical load is solar chargers that will charge the batteries daily, without using any electricity from the power grid. The conventional incandescent light bulb is horribly inefficient. It produces about 3 times as much heat as light from the power it consumes. Fluorescent lighting, including compact fluorescent (CF) lights, consume about 25% of the power of incandescent bulbs to produce the same amount of light. And fluorescent lights last longer. Compact fluorescents will usually fit right into your existing incandescent light fixtures without modifications. In some cases, CFs will not fit into existing shades or light covers. Switching to fluorescents will save you money in two ways. They will outlast incandescent bulbs, reducing purchase price and maintenance effort over their lifetime, as well as reducing your electrical consumption by about 75%. During the cooling season, the biggest source of heat in most residential buildings is solar gain. The best way to combat this is to stop the sunlight from reaching your windows. Sunlight that does not reach your windows cannot be converted to infra-red that will heat up your house. Use awnings, shutters, roof overhangs, trees and other coverings to shade your windows. This is far more effective than using indoor window coverings which allow the heat to enter your home, but try to trap it against the window. During cooling season, when temperatures are cooler (e.g. at night), open windows to cool your building with cooler air, and give your air conditioner a break. If the air is still, use fans to move the air. Where practical, draw in cooler air down low, and exhaust warmer air from a higher opening (e.g. an attic exhaust fan), to take advantage of the convection effect. Use ceiling fans instead of air conditioning where practical. Fans use much less power for similar perceived cooling effects than air conditioners. Pull it out from the wall and clean (vacuum) the coils at the back. Fridges are a major electrical power consumer in most of our homes. The accumulated dust on the coils acts as insulation, inhibiting the heat exchange, making the compressor work harder and draw more power. Keep the fridge fairly full to minimize air space. Use bottles of water if necessary. Keep the fridge door closed as much as possible. Purchasing previously-enjoyed items generally costs less to buy, and may save that item ending up in a landfill, which may in turn eliminate the need for producing a new replacement item. If you buy an item that is produced locally (e.g. a tomato), then less energy is spent transporting that item to you than if it had been produced 3,000 km away and trucked to you. That reduces fuel consumption and GHGs. Wood and other plant fibres are carbon sinks. They actually remove carbon dioxide from the atmosphere and lock it into a durable item (e.g. wood furniture or construction materials, cotton fabric). Items made from metal or glass consume significant amounts of energy to produce, and thus create GHGs. A more high-tech carbon sink is the use of carbon fibre composites in the construction of items, especially where strength, light-weight and highly formed shapes are considered advantages. When doing renovations or construction, consider the origin of the materials you are choosing. Wood is a carbon sink, so embedding wood into a building should help reduce GHGs. Linoleum is made of linseed oil, wood flour, pine resin and jute, all of which come from plants and consume carbon. Vinyl flooring is made from petroleum products, so its production leads to GHG emissions. That's just one example of how materials selection can make a difference to GHG emissions. Make a point of looking for products made from recycled paper. Creating more demand for recycled paper products will create more demand for used paper to use to make the recycled paper products. In general, buying things that have less material will reduce the related GHGs. For example, buying a durable razor with replaceable blades will result in fewer GHGs being produced than buying disposable razors, where the handle is disposed of with the blade. Rechargeable batteries have a lower environmental impact than one-use batteries. Reduce, Reuse, Recycle. Most of us are familiar with the conservation mantra. But most of us still don't do all we can. The order of the 3R's is conscious. Reducing provides more savings than reuse, and reuse is superior to recycling from an energy conservation viewpoint. Here are some ideas on reducing waste, and some reuse ideas. So once you have reduced and reused as much as you can, recycle aggressively. Recycling paper products, glass and metals uses far less energy than producing these materials from virgin materials. For example, making a new aluminum can from recycled aluminum uses just 10% of the energy required to make an aluminum can from virgin materials. Recycled glass uses just 60-65% of the energy required to make new glass. Methane is a potent GHG. It is the major component of landfill gas. The less decomposable material we send to landfill, the less landfill gas we produce, the less GHGs. Compost. If you can't compost on your own property, put your compostable wastes into your municipal yard waste program. A tree will consume carbon dioxide (a GHG). It will produce oxygen. It might even be attractive. A coniferous (evergreen) tree can be used to break north winds that would cool your home in winter. A deciduous tree can be used to provide shade from the hot summer sun, while allowing most winter sunlight to pass through. Eventually, it may even provide a zero net GHG emissions fuel, assuming another tree is planted to replace it when it is cut down. The garden plants will consume carbon dioxide and produce oxygen. Fruit and vegetable plants can provide you with fresh, healthy food. Flowers are attractive. You can even use composted material as your fertilizer. The politics of Kyoto are likely inevitable, but the misinformation they are engendering is beyond unfortunate. Certain sectors of Canadian industry are engaging in fear-mongering, and point to the fact the U.S. has refused to ratify the Kyoto Accord. On the other hand, they don't mention that the U.S. has their own plan, and the U.S. GHG emissions are being reduced now (up until 2001, U.S. GHG emissions started to rise again in 2002 courtesy of the Bush II administration gutting measures that led to earlier progress), while Canada's continue to rise. They point to jobs that will be lost, but do not recognize that changes to reduce GHG emissions in Canada also provide opportunities for new jobs and developing new export markets for techniques and technologies we could develop if we embrace GHG emission reductions. They point to costs, but do not recognize that many things we can do to reduce GHG emissions have either no direct cost or can even save the consumer money (sometimes requiring an initial investment to realize subsequent savings). If you want to reduce your personal GHG emissions, you can. It is not difficult. It involves making some conscious decisions, and making some small investments. In general, you will end up saving money and creating a higher quality of life for yourself, as well as reducing your GHG emissions. It's all up to you. We hope that the information we have provided here has given you a better understanding of GHGs, their effects, and what you can do about them as an individual. You don't have to wait for government; you can make a difference on your own. Why wait until 2012, when you can start saving money and improving your quality of life now? We do not endorse any of the following sites, or necessarily agree with the content on any of the following sites. We simply note that they appear to address the issue of Kyoto and Canadians.